We could probably all use a little more luck, right? So why not go ahead and do some of the things that folks believe may have contributed to happy tidings in the past? While I don't support avoiding black cats (they're so stinkin' sleek and pretty! ), carrying a rabbit's foot (ick), or hoping to get hit by bird poo (double ick), I can definitely condone things like hanging a horseshoe on your door and eating black-eyed peas to begin a new year. The recipe I tried this year made use of my crock-pot (always a good thing), and it turned out wonderfully. I'm not sure if my success is due to the inherent luck of the black-eyed pea or if it's just an indication of my mad kitchen skills. Perhaps a little of both. Yeah, let's go with that. Please don't skip the bacon in these peas--it adds that salty, porky, pleasant taste that deli ham or bouillon cubes can't always provide. The cumin is key, too, though you should feel free to add your own favorite herbs and spices. All told, this is easy and quick to prepare, flavorful, and plentiful--we'll be eating on these lucky legumes for a good long while. Hopefully, they'll keep 2015 on the right track. 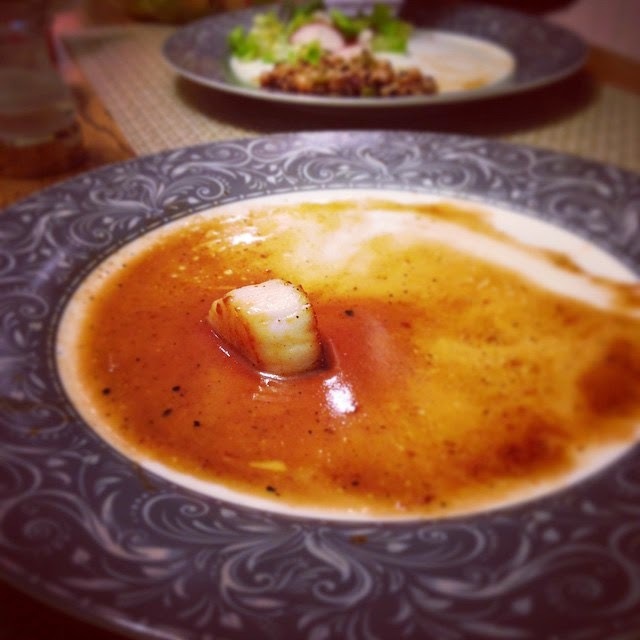 Pour the boiling water into a slow cooker, add the bouillon cube, and stir to dissolve. Add the black-eyed peas, onion, bell pepper, bacon, sugar, cumin, garlic powder, salt, and pepper; stir to blend. Cover the slow cooker and cook on low for 6 to 8 hours, until the beans are tender but not complete mush. I haven't had my serving of Black-eyed peas yet this year, Grace. Thanks for the reminder. My kind of dish! This looks so comforting, Grace! Happy New Year! I had my black eyed peas and my collards!! Waiting for the wealth and good luck to just roll in! Love black eyed peas, actually all legumes are my favourites! This looks so comforting and scrumptious. 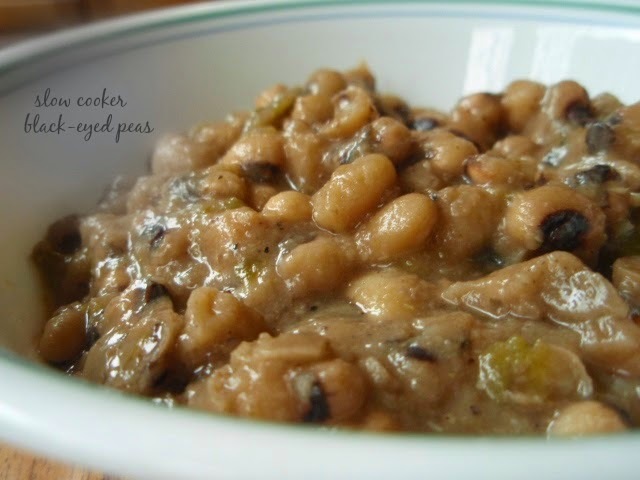 Black-eyes peas for good luck? I haven't heard that before, but why not? Sounds like a great way to start the year. I love all the new year's traditions for food that brings luck. And, I love scallops. Hope this meal does the trick and brings you a fabulous new year! I love a slow cooker recipe! This is going on the January list for sure! It must be because I live in Wisconsin, but I have only had Black Eyed Peas from a can. I need to fix that. Also, I need to fix the fact that I was not following you on Instagram... my bad! Also followed you on IG welcome to the life! Adding bacon makes nearly everything better. They look & sound tasty! Can't have black eyed peas without bacon! I like the cumin touch. I didn't know that custom of yours! I love black eyed beans and eat them very often with no tremendous results in luck I am afraid haha! I had never heard of black-eyed peas for luck before. This looks like a very warming dish--perfect for winter. Great crock pot recipe Grace. My Grandma used to insist on eating these every new year. Thanks for sharing! It looks delicious! What a great idea to do them in the crock pot!